Make progress toward brand awareness in increments! 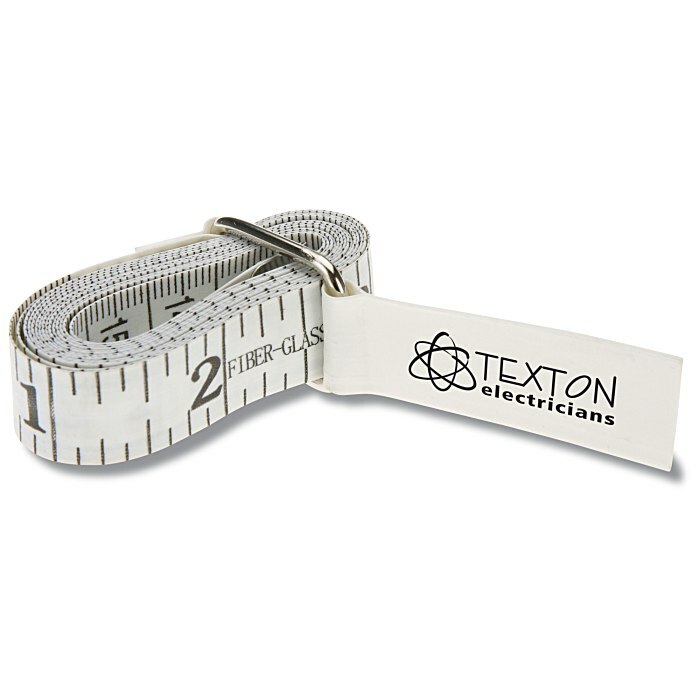 From tailors to construction workers to personal trainers, a tape measure comes in handy for those important measurements. The flexible 60" coated fabric tape is great for measuring around objects of many shapes and sizes. A metal clip with a logo tag folds over the vinyl tape to keep it folded. Includes measurements in centimeters on one side of the tape and inches on the other. Size: 1-1/8" x 2-1/4" x 5/8". Your price includes a one-color imprint on the top of the tag.